No Mess, No Fuss Nutrition! Young children can be finicky eaters, and don't always get the optimal balance of nutrients from diet alone. 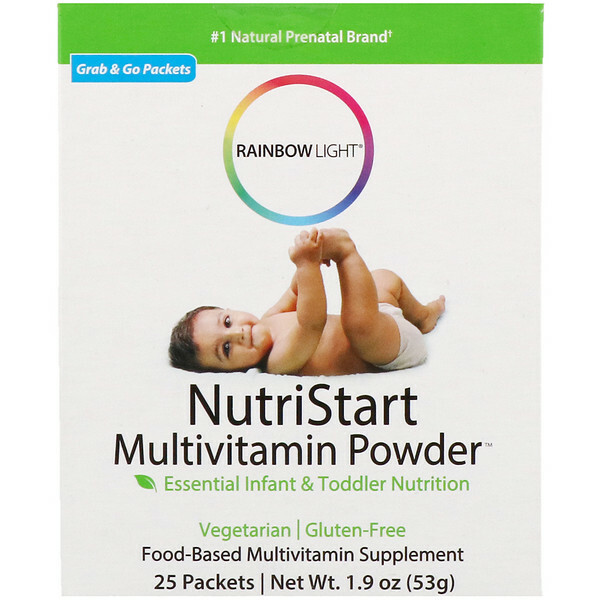 NutriStart Multivitamin Powder helps fill nutritional gaps in your child's diet with research-based levels of essential vitamins, minerals and nutrient-dense whole foods. Grab & Go easy-mix packets offer a convenient way to add our neutral-tasting, nutrient-packed powder into chilled or room temperature drinks or foods. Do not mix into hot foods. 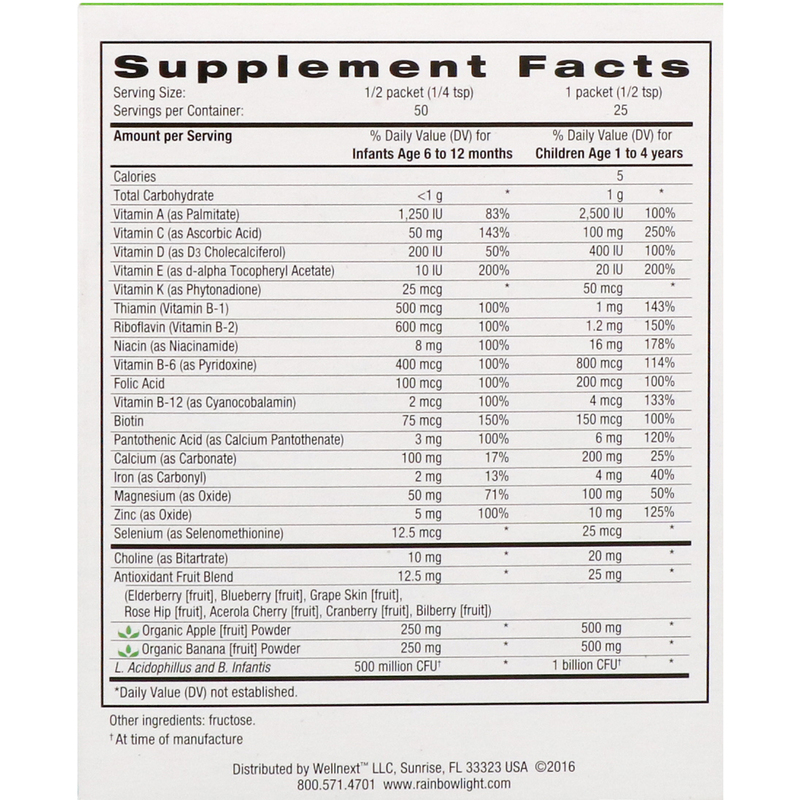 Essential vitamins & minerals support optimal growth & development. B-vitamins, folate, choline & iron promote a healthy brain & nervous system. Probiotics & whole foods for gentle digestion & immune health. Measure into chilled or room temperature drinks or foods. Do not mix with hot foods. Infants ages 6-12 months: 1/4 teaspoon (1/2 packet | 1 g). Toddlers ages 1 - 4 years: 1/2 teaspoon (1 packet | 2 g). Made with natural, purity-tested ingredients and no artificial preservatives, colors, flavors or sweeteners. Contains no: gluten, wheat, milk, tree nuts, peanuts, soy, eggs, fish, shellfish. Store in a cool, dry, dark place. Do not refrigerate. Keep out of reach of children. Consult your health care professional prior to use if your infant or child is taking medication or has a medical condition.